In 1980, R.S. Hornsby was born and he grew up surrounded by music. His mother and father (Ann and Bobby Hornsby) had been in the Octane Kids and were playing in the Bruce Hornsby Band while R.S. was just a baby. Throughout his youth, R.S. shared the family's excitement as his uncle Bruce released albums, won grammys, and performed with many of the legendary artists of our time. When R.S. was in junior high, his dad took him to meet Jerry Garcia at a JGB concert in Richmond, Virginia. R.S. was impressed with Jerry's kindness backstage before the show, and was then electrified by the music. On the way home that night R.S. told his dad he wanted to learn to play guitar. Bobby got out the old Kay electric that had been his first guitar and found that it wasn't working so well after about 30 years. R.S. and Bobby took the guitar to AL&M in Norfolk (southeastern Virginia's long time popular music store and haven for musicians in need of a day job) where friends Eddie Berman and Clinton Midgett rebuilt the old Kay with parts from the repair bin - R.S. Hornsby had his first guitar. With the rebuilt Kay and a chord book, the first song R.S. learned was "Me and My Uncle" and he was off and running as a guitarist. After attending Williamsburg-James City County Public Schools and Hampton Roads Academy, R. S. graduated from Episcopal High School in Alexandria, VA, in 1999, where he studied abroad in Segovia, Spain and was awarded the Selby Barnes Papin Medal for excellence in Spanish. R. S. attended the University of Vermont in Burlington, where he graduated with degrees in Spanish and Philosophy in 2004. R. S. returned to the Virginia countryside outside of Charlottesville following graduation from UVM. He was a strong presence in the diverse Charlottesville music scene, where he played with many bands whose styles ranged from bluegrass to jazz to rock. 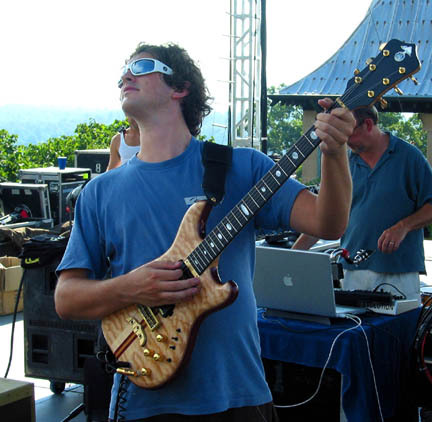 An accomplished guitarist from an early age, R. S. first joined Bruce Hornsby onstage at the Telluride Bluegrass Festival in the summer of 2000. R. S. Hornsby played on the Bruce Hornsby albums Halcyon Days, Intersections, Bride of the Noisemakers, and Levitate. 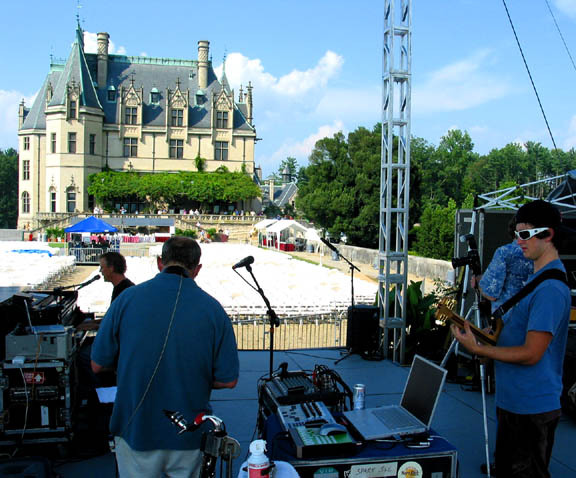 He often performed live with Bruce Hornsby and the Noisemakers and you can see some of these performances on the video page. R. S. Hornsby also played played with the "Conductors of Heat", the "Eames Coleman Quartet", and was a founding member of "Gunchux".